#20 – Where Magic of March Happens. 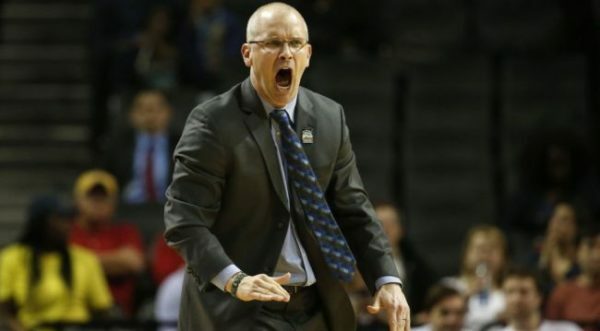 He may have been born into a basketball family with a future Hall of Famer for a father and an NBA lottery pick for a brother, but Dan Hurley did not have a silver whistle to expedite his way to the top of the coaching ladder. After finishing his playing career at Seton Hall in 1996, Hurley began his career by leading the junior varsity squad for his legendary father, Bob Hurley, Sr., at St. Anthony’s in Jersey City (NJ), where he had played alongside brother Bobby Hurley a few years prior. He went to Rutgers a year later, serving four years there as an assistant before heading to St. Benedict’s Prep in Newark (NJ). The youngest Hurley compiled a remarkable 223-21 record at that prep program over nine years, and when Wagner, a NEC team coming off a 5-26 season in 2009-10, came calling, Hurley accepted the challenge. It’s day three of Championship Fortnight and with three more conferences tipping off today, what better way to get you through the next two weeks of games than to break down each of the Other 26′s conference tournaments. Today, the Big South, NEC and OVC get started. What to expect: Robert Morris was in this position a season ago. The Colonials won the regular season title before falling to Mount St. Mary’s in the conference tournament. Will this year be any different? Robert Morris won the league with a 14-2 mark this year, besting second-place Wagner by two games. Wagner, however, beat Robert Morris in the last game of the season on Saturday and has won eight straight contests. It should come down to these two program. Any other winner would be a major shock. Favorite: Robert Morris. The Colonials split the season series with second-seeded Wagner, winning at home and losing on the road. 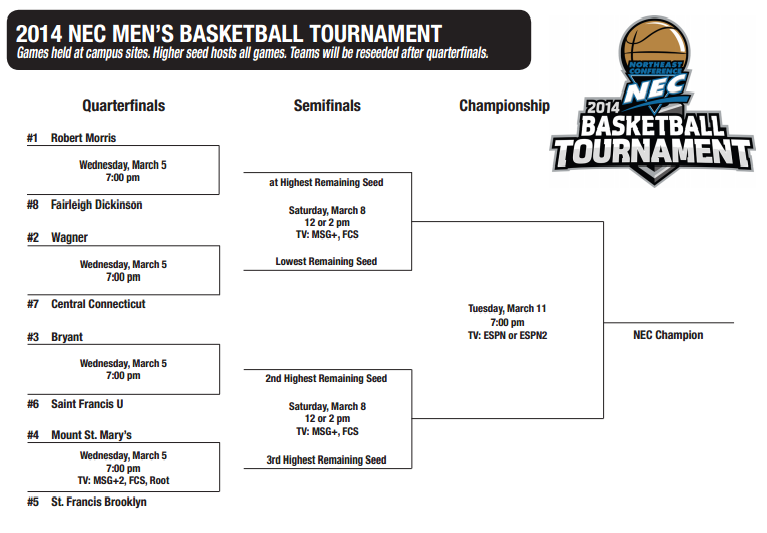 Robert Morris has the home court advantage, but a potential title game between the two could be a doozy. As we mentioned yesterday, Wednesday was the day that four major basketball conferences, all of their own independent accord, decided, “hey, let’s dominate the news cycle for our basketball product by competing for attention with three other competitors, even though we could have easily chosen any of a number of other days during the month of October! Brilliant!” Sometimes the ruling parties of this sport really make you wonder. Alas, the ACC, AAC, Big East and SEC all held their media events yesterday, providing us with a steady stream of quotes, notes, predictions and controversy throughout the day. You’ll get better coverage of the details of each of those leagues at each of our microsites (excepting the SEC, which relaunches next week), but for now, here are some of the things we learned. ACC: Jim Boeheim says the only thing Syracuse fans will miss is the Big East Tournament; AAC: Commissioner Mike Aresco says no-way, no-how to paying players. Big East: Are the biggest celebrities in this league Bill Raftery and Gus Johnson? SEC: Kentucky’s best player is James Young? The SEC will continue with its two-day event in Birmingham today, and the Pac-12 will hold its one-day media event in San Francisco as well. The Big 12 and Big Ten will follow with theirs over the next couple of weeks. The best quote of the day, however, didn’t come from one of the roughly 50 coaches assembled yesterday at the various conference media days. It came from USC’s Andy Enfield, who exhorted his team during a recent practice by telling the Trojans, “We play up-tempo basketball here. If you want to play slow, go to UCLA.” Perhaps not since the days of Shaq and Kobe trashing each other through Jerry Buss has the City of Angels heard such a fine display of braggadoccio. Given that it’s coming from a brash young coach who quite literally was making a CPA’s salary somewhere on the gulf coast of Florida one year ago, even better. The two schools have never liked one another, but sometimes the crosstown rivalry got lost in the football vs. basketball focus of each. It would be nice to see the rivalry heat up with two cocky new coaches in town ready to trade barbs back and forth for the better part of the next decade. The Pac-12 microsite has a fantastic piece coming later today on this topic, and we highly encourage you to check it out in a few hours. Meanwhile, do you think the west coast media will bring up this quote to Steve Alford and his counterparts later today? Jumping back to the media days, all four leagues released their preseason choices to win the conference races and the standard other superlatives we typically expect this time of year. In the ACC, Duke was picked first with Syracuse’s CJ Fair chosen as the top player; over in the AAC, it was Louisville and Russ Smith. In the new-but-not-improved Big East, Marquette was the choice, with Creighton’s Doug McDermott as the player of the year. In the SEC, Kentucky and Julius Randle were the selections. From our perspective given what we know about these sorts of things, the media will be lucky if even half of these choices come in by March — there’s just too much variability and unpredictability at the conference level to make sterling predictions like these. The closest might be McDermott in the Big East, so long as he’s healthy all season, and Louisville to win the AAC. Beyond that? It’s hard to say anything is a lock. There was a period in the mid-1990s when Georgetown basketball, so feared and despised by so many in the 1980s, became the coolest thing around, in a retro sort of way. 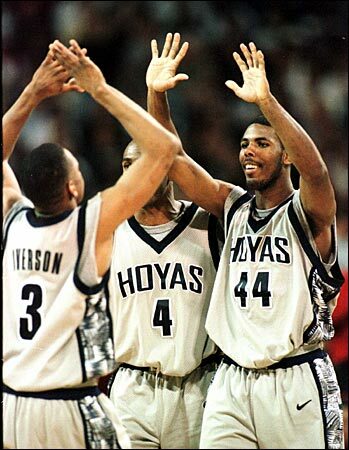 Sporting some of the best college basketball uniforms ever produced and an electrifying backcourt led by the unguardable Allen Iverson and his sidekick, Victor Page, the Hoyas became everything they hadn’t been during the previous era: fun, fast and perimeter-oriented. Bubba Chuck, of course, went on to an MVP award and great riches in the NBA, but Page, the Big East Tournament MVP in 1996 and Big East scoring champion in 1997, was never able to get there. As a result, Page has spent much of the last two decades in and out of correctional institutions for a series of petty and serious crimes, the most recent of which, a brutally violent assault against a Maryland woman, was described by Nathan Fenno in the Washington Times as the product of “one wasted opportunity after another.” Page has been charged with 33 crimes in the last 42 months (guilty of six, including the assault, for which he was sentences to 10 years in prison), but the clear lesson here is that young players with all the talent in the world still need to have realistic backup plans. Education, work, whatever. Because if there’s nothing else to live for, that allows the darkness to creep in. After that one, let’s finish today off with a good story. In an era of coaches working themselves to the bone with all the different CEO aspects of running a Division I college basketball program, the New York Times‘ Zach Schnobrun writes about the youngest D-I coach in the country, Wagner’s 29-year old Bashir Mason. Mason, it turns out, is finishing up a Master’s in elementary education at the school and the second-year head coach must complete 220 hours of classroom instruction to earn the degree. As a result, he spends five mornings and one afternoon a week at a local elementary school, working through reading comprehension and other practical exercises with kids who are too young to recognize that their teacher is a bit of a local celebrity. It’s a story about persistence and follow-through, and it’s one that Mason deserves to have heard. Here’s hoping that his team listens to him as intently as his six-year old students do — they’ll assuredly learn a thing or two about discipline and hard work. Ray Floriani is the RTC correspondent for the NEC. A Dynasty Grows In Brooklyn: It’s probably fitting that the Northeast Conference administrators chose the brand-new Barclays Center to host its annual media day. The NEC trophy has resided in this borough two straight years and LIU Brooklyn is planning on a unique ‘three-peat’. In the NEC’s 32-year history, no team has captured the title for three straight seasons. 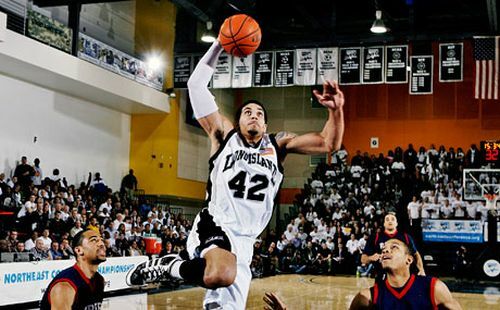 LIU Brooklyn is primed to finish the trifecta, but there will be stiff competition. Mainstays Robert Morris, Quinnipiac and Wagner will be in the hunt, and don’t forget ‘Battle of Brooklyn’ nemesis, St. Francis, just a mile away in Brooklyn Heights. The Terriers surprised last season and have enough returning talent to continue their recent success. They’re Watching And Noticing: One of the significant aspects of the NEC’s improvement can be seen in coaching mobility. The higher-level schools are looking at and hiring mentors who prove they can X and O in this conference. Three years ago, Mike Rice went from Robert Morris to Rutgers. This past season, Duquesne chose LIU Brooklyn’s Jim Ferry, while Rhode Island, another Atlantic 10 school, obtained the services of Danny Hurley, who quickly reversed fortunes at Wagner. As one coach noted at media day, “you have a group of good, aggressive coaches here who can build and run a program.” No surprise NEC coaches are on the big boys’ short lists. Circle the Date: Wagner faces off against Temple, Syracuse, Penn, Princeton, Hofstra and plays in the Cable Car Classic in Santa Clara. However, a relatively early game of note is January 10 at LIU Brooklyn. The Seahawks have a four-game losing streak in the series and Wagner coach Bashir Mason all too well knows the the road to the NEC title will go through Brooklyn. Which NEC Team Is Best Situated to Overtake LIU Brooklyn? He may not be coaching this weekend, but Frank Martin may have been more active yesterday than any of the coaches that will be coaching in the Final Four. The former Kansas State coach will become the next South Carolina coach. Rumors about this initially came up a few days ago from a source on Twitter that wasn’t well-established and took them down soon after they spread like wildfire. Now a few days later, it looks like there may be some validity to the rumors. Initial reports indicate that South Carolina is looking at paying Martin $2.05 million per year, which is a substantial raise from the $1.45 million per year he was getting at Kansas State. And of course there was the admission on Sunday that Martin routinely sent money to his former high school players when they needed it in college much like what Jamar Samuels reportedly got that led to his suspension. With Dan Hurley leaving to take over at Rhode Island, Wagner was in search of a coach and they looked inside their program to hire Bashir Mason, who was acting as an assistant coach before Hurley left. At 28 (not a typo), Mason will be the youngest head coach in Division I (and younger than both of the RTC editors). From our research/Twitter query, the youngest coach in Division I history we are aware of is Bob Knight in 1965 (at 24) and in the modern era is Dane Fife in 2005 (at 25). Fortunately for Mason, Hurley left the program in better shape than where he found it. This morning UAB will announce Jerod Haase as its new head coach. Hasse, who will turn 38 on Sunday, has spent his entire college coaching career as an assistant under Roy Williams first at Kansas (five seasons) then at North Carolina (nine seasons). Of course, most of you will probably remember him as the co-captain on the great 1996-97 Kansas team that was upset in the Sweet Sixteen by eventual champion Arizona. It is probably not lost on Kansas fans that the game in 1997 against Arizona was in Birmingham. Fortunately for Hess, UAB plays at an on-campus arena so he will not have to battle those demons with every home game. Murray State put an end to any speculation that Steve Prohm would be leaving after his first year as they signed him to an extension that pushes his contract through the 2015-16 season. Prohm, who went 31-2 in his first season, was mentioned as a target for the Mississippi State job after a search firm put him on the short list. As you may remember Murray State did not react too well to that and now appear to have secured Prohm for at least a little bit longer. It should be pointed out that even with the new contract his increased base salary is still “only” $270,000 per year with an additional $30,000 for doing TV and radio. If it ever becomes about the money for Prohm, any team from a power conference would be able to produce an offer several times higher than that. A day after a report surfaced that George Mason and VCU, the premier basketball programs in the CAA, were headed to the Atlantic 10 the two schools and CAA refuted those claims. Of course, with the way the statements from the schools are written they could be making a move in the future as they are fairly well-crafted (outside of the occasional typo). Honestly, if we were George Mason or VCU we would be very tempted to move to the Atlantic 10 given the increased national exposure and the increased ability to earn an at-large bid from that conference compared to the CAA.If the schools do leave the CAA, it would be a devastating blow to the conference particularly in basketball. It did not take Rhode Island long to find a new head coach as they announced Dan Hurley as their new head coach at a press conference yesterday. Hurley has limited coaching experience at the college experience, but the experience he has had so far has been phenomenal as he turned around the Wagner program leading them to a 25-6 record in just his second year there. While almost everybody understands the move by Hurley, Gary Parrish notes that it is interesting in light of comments about how Hurley would not be using Wagner as a launching pad, but then did so just two months later. The situation at Southern Illinois appears to be a little less clear. Initial reports suggested that Bruce Weber had been offered his old job again. However, later in the day the school denied those reports and said its search was still ongoing. Weber appears to be the leader to become their next head coach, but the school reportedly has up to eight candidates (mostly current assistant coaches) who they would target to become their next head coach. Scott Sutton interviewed at Nebraska on Monday according to his father. Sutton, who is 250-161 in 13 seasons at Oral Roberts, appears to be one of the hotter names not named Shaka this offseason as we have also seen his name linked to Tulsa and Mississippi State. With so many options on the table, we suspect that Scott will have his choice of leaving Oral Roberts if that is his desire. We should also point out how humorous other reports of this story were that reported “sources” had indicated that Scott had interviewed with the Huskers. While his father is technically a source, he is probably a little more credible than your average anonymous source. Long time followers of our site are familiar with the musical works of Renaldo Woolridge (aka Baller Vol). Woolridge, who was a senior at Tennessee this season, was granted a hardship waiver and given an extra year of eligibility by the NCAA. 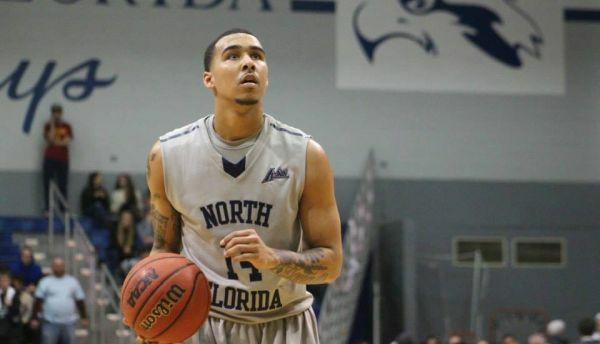 Interestingly, Woolridge plans to use that extra year to transfer to another school. We are not sure what his reasons are, but Cuonzo Martin appears to have signed off on the transfer unlike a certain coach in Philadelphia. 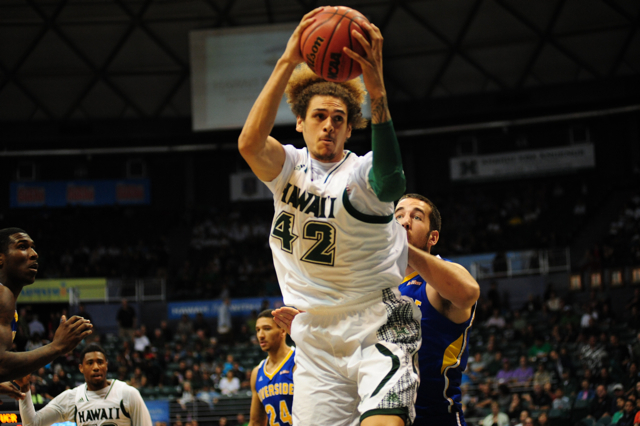 There were a couple of big transfers in the Pac-12 yesterday. The biggest was the announcement that Trent Lockett, the leading scorer for Arizona State last season, would be transferring to be closer to his ailing mother. Lockett, who averaged 13 points and 5.8 rebounds per game last season, is expected to head back to Minnesota to be closer to his mother although he has not announced which school he intends to transfer to for his remaining eligibility. Lockett is the 12th Sun Devil to leave the program in the past four years although we cannot pin this one on the program as there appears to be more serious family issues at play here. Alexis Moore and Curtis Washington both announced yesterday that they would be the second and third Trojans in a week to transfer from USC. While things may seem really bad for a team that was 6-26 this season and now has lost three of its better players from last season, there is some hope in the form of a talented group of incoming players.